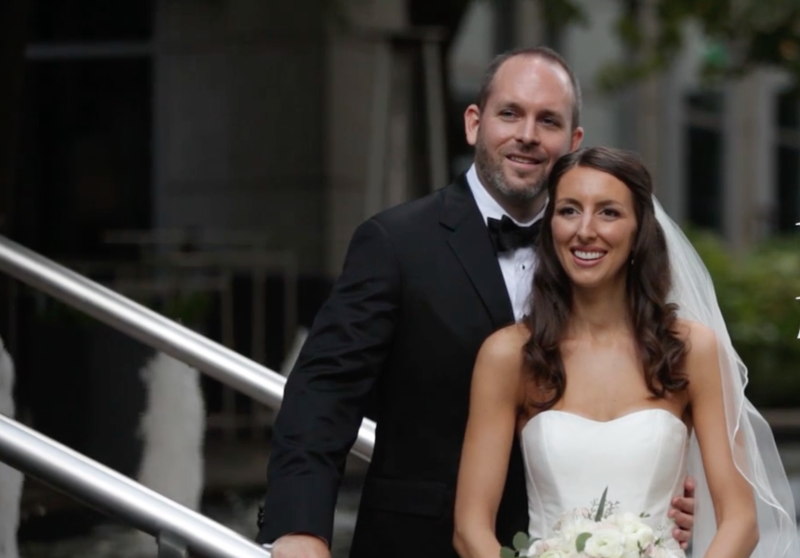 Surrounded by their biggest supporters, Michael and Heather got married at The Logan Hotel in Philadelphia. In an outdoor ceremony with lush grass, fountains. and flowers, Michael and Heather tied the knot. Before joining together as husband and wife, each of them was fiercely loyal in their friendships. In the Maid of Honor’s speech, she told of Heather’s unyielding friendship and support throughout the years. The Best Man also spoke about Michael’s continuous support and how much of his best traits reflect in Heather. 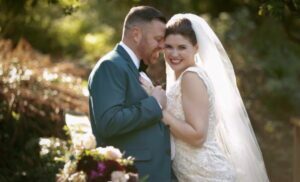 By enhancing their best qualities in each other, Heather and Michael found a love that will last forever. After the ceremony, the crowd enjoyed a cocktail hour in the candlelit courtyard area. They then filtered into the connected Ballroom for the rest of the night. During the reception, The Eddie Bruce Orchestra entertained and had guests dancing the whole night. 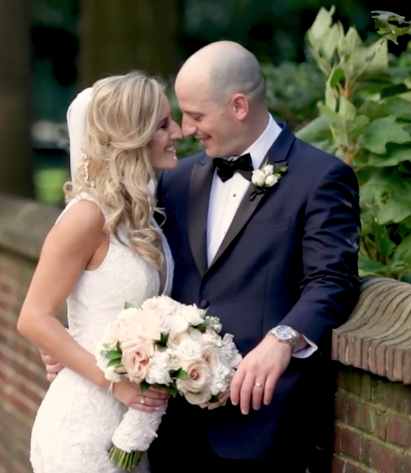 Our team at Allure Films captured this special day for the couple and are happy to give the bride and groom a way to watch their wedding in years to come. Our friends from Campli Photography joined us in photographing wedding memories for Michael and Heather. Mazel Tov Michael and Heather! We wish you a lifetime of happiness together. 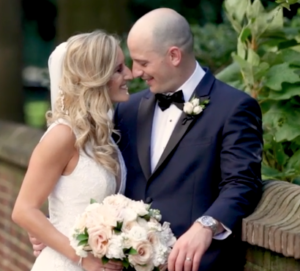 After years of knowing each other, Tara and Anthony’s connection turned into everlasting love. Even when they were apart for a little while, Tara still held a place in Anthony’s heart. After finding an old mixtape she made for him years before, he realized his feelings never changed. Inspired by the music, Anthony knew this sign meant he should be with Tara. After reconnecting, the two tied the knot in St. Thomas of Villanova to start their future together. 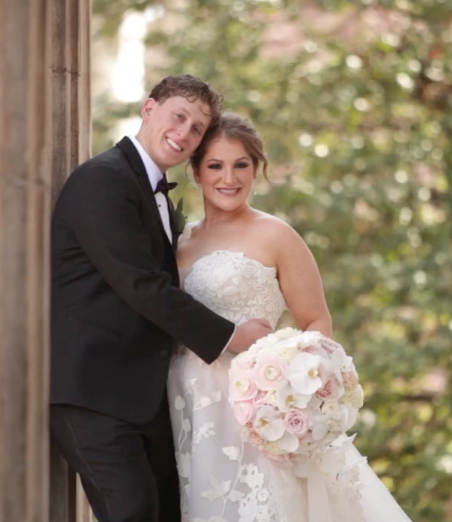 After the ceremony, the newlyweds and guests went to the Rittenhouse Hotel for a reception. 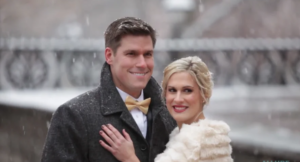 The beautiful Rittenhouse Hotel gave the couple indoor and outdoor accommodations for their stylish reception. After the couple’s breathtaking first dance, Faze 4’s True Blue entertained guests for the rest of the night. Our Allure Films team was lucky enough to be a part of such an elegant day. 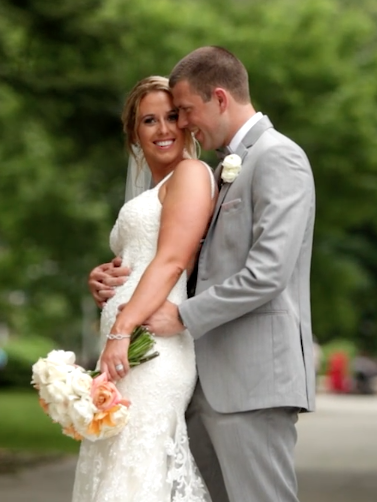 We were honored to film these moments for Tara and Anthony. Our friends from Baida Photography also joined us by photographing all of the special moments. Congratulations Tara and Anthony! We wish for many happy years to come.